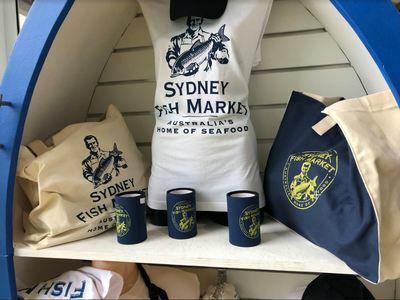 Sydney Food Society's next event is Fish and Tips at the Sydney Fish Market. Our three tour dates for 2018 have sold out within days of opening. Subscribe to our (free) priority members list to be one of the first to hear of new tours and their limited run dates in 2019. As the jewel in Sydney's seafood crown, The Fish Market offers the freshest range of produce you could desire. However, the hustle and bustle can be a little overwhelming. Knowing your way around and a bit of inside knowledge, can make the most out of your Fish Market experience. 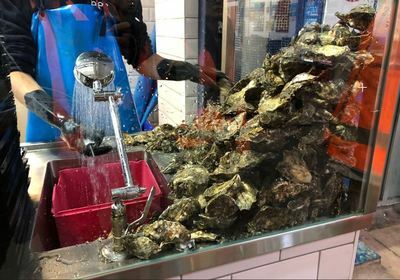 On this walking tour, you’ll meet the friendly vendors behind a variety of shops (not just seafood), learn how the Fish Market runs, where to spot the best produce, and of course experience amazing tastes. 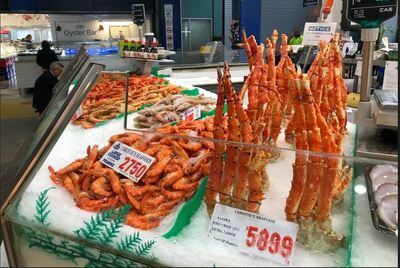 Karyn, your experienced Foodi host, will share interesting stories about the Fish Market, its location and history, and let you into the secret of how a Dutch Auction works. And with your free shopping bag, you might even come away with some gourmet ingredients for your weekend meal. Or, simply enjoy the food samples along the way, including a sushi treat, you won't soon forget! 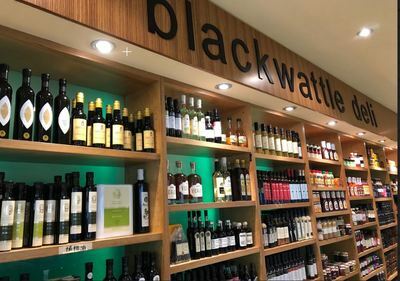 With a philosophy of 'try before you buy', you'll enjoy food samples and opportunities to purchase, across a range of outlets, including green grocer, delicatessen, bakery, seafood vendors, butcher and boutique wine shop. There'll also be an important morning pit stop for coffee. 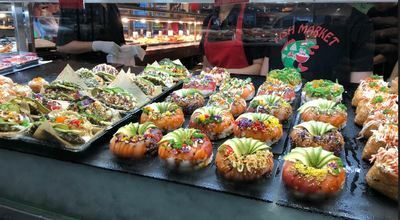 From the creators of the long-running Foodi Walking Tours of Sydney, comes a brand new, limited-run adventure for foodies, who enjoy trying new foods, spoiling themselves with gourmet treats, and shopping for great produce to cook with at home. Included in your tour price will be the services of our experienced guide. 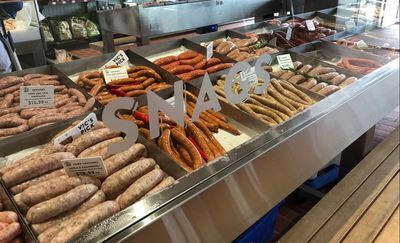 You'll also be offered a range of entertaining information, exposure to the best produce, a free cooler bag for your shopping purchases, tasty food samples, and access to selected Market discounts. Some walking will be involved on the day, so please wear comfortable shoes and bring an umbrella if the weather calls for it, but the tour will be mostly under cover. This is a special, limited-run tour with only 1 date currently open. Book now to avoid disappointment. You must have a pre-paid ticket to attend the tour. Fantastic. It is a great tour with like-minded foodies. Thank you Karyn for making it such a nice experience in a busy environment. Really enjoyed the morning. Right size group, not too many. Bezt time of the day before it gets too hot and crowded. Karen was great hostess and tour guide. Vendors were friendly, welcoming and obliging. Would recommend this tour and hope it continues to run. Our group particularly enjoyed seeing the very large lobsters and crabs held up and shown to everyone, along with the explanation of the different fish varieties. Karyn our guide had a good loud voice and was very welcoming. Well organised, full of information and tastie treats. Great leadership from our host, Karyn. Very informative & plenty of food samples compared to other tours we have been on! Vendors very knowlegable. We thoroughly enjoyed the tour - Karen was a terrific guide and was also friendly and good company - I think all the group enjoyed the morning. The tastings were varied and nicely done and the discounts were a bonus. Have now joined Vic's meats loyalty program as well .